A "beautifully written story" of an innocent girl's introduction to the inner circles of the court of Henry VIII -- where love and betrayal go hand in hand (Diane Haeger, award-winning author). Young Mary Howard is overjoyed when she learns that she will be leaving home for the grand court of King Henry VIII, where she will attend his mistress Anne Boleyn. Everything Anne touches seems to turn to gold, and Mary is certain Anne will one day become queen. But Mary has also seen the king's fickle nature, and how easily he discards those who were once close to him. Discovering that she is a pawn in a carefully orchestrated plot devised by her father, the Duke of Norfolk, Mary dare not disobey him. Yet despite all of her efforts to please him, she too falls prey to his wrath. Not until she becomes betrothed to Harry Fitzroy, the Duke of Richmond and son to the king, does Mary find the love and approval she's been seeking. But just when Mary believes she is finally free of her father, she discovers she has been outmaneuvered by him all the while. Now, Mary must learn to play her part well in a dangerous chess game that could change her life -- and the course of history. 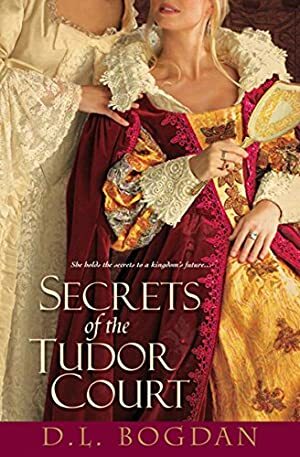 Enter a world of power, privilege, and passion that "throbs with intensity as it lays bare the secret delights of Tudor court life and the sudden, lethal terrors" (Barbara Kyle). Log In to track D.L. Bogdan on eReaderIQ. to be notified each time the price drops on any book by D.L. Bogdan. to stop tracking D.L. Bogdan. We started tracking this book on January 21, 2011. The price of this book has changed 63 times in the past 3,014 days. The current price of this book is $8.99 last checked 20 hours ago. This lowest price this book has been offered at in the past six months is $1.80. The lowest price to date was $0.99 last reached on May 30, 2018. The highest price to date was $17.99 last reached on May 6, 2018. We last verified the price of this book about 20 hours ago. At that time, the price was $8.99. This price is subject to change. The price displayed on the Amazon.com website at the time of purchase is the price you will pay for this book. Please confirm the price before making any purchases.